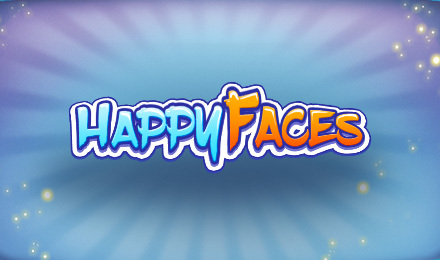 Happy Faces slots is an emoticon themed games full of fun and fantastic features to play with. Play now at Vegas Spins and win big! Happy Faces slots by GGP is an easy-going slot game where you can relax and enjoy. The fun filled slot game is packed with happy faced emoticons set on a colourful layout. The 5 reel and 25 payline slot game consist of Exploding Wilds where the feature spread sticky wilds across your slot grid to increase your winning potential. Take a chance on the double or nothing option and double your wins for more payouts. Happy Faces is a progressive slot game that enables you to trigger a jackpot anytime during the gameplay.